The Zapatista struggle continues … Subcomandante Marcos ceases to exist …Galeano lives. 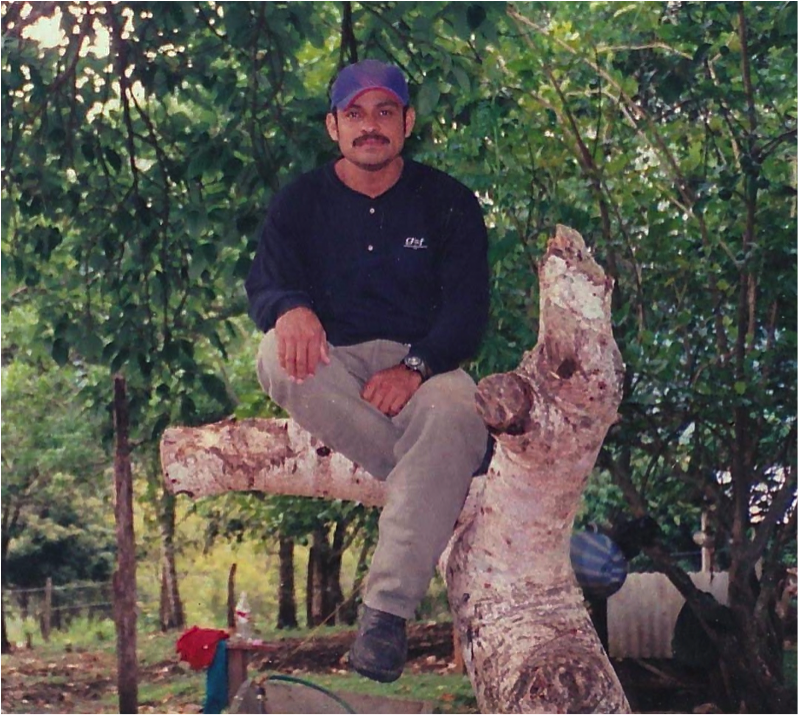 On Friday May 2, 2014 an Indigenous Zapatista teacher, Jose Luis Solís López – known by his name ‘in the struggle’ as ‘Compañero Galeano’ – was ambushed and murdered. He was beaten with rocks and clubs, hacked with a machete, shot in the leg and chest, and as he lay on the ground gasping for air – he was executed by a final bullet to the head. The reason he was subjected to this callous violence varies depending upon what account is heard or read. But in truth, he was assassinated because he was Indigenous, because he was a teacher, because he was humble, and more specifically – because he was a Zapatista. And in a contemporary global system of neoliberal production and colonial governance, people like Galeano are deemed to be threats – threats that need to be killed in cold blood and suffer brutal deaths. The assault on Galeano was also an attempt to antagonize the EZLN (Zapatista Army of National Liberation) into reacting with violence themselves as retribution for the death of one of their promotores de educación (‘promoters of education’ – what teachers are called in the Zapatista system of horizontal education). The provocation was directly aimed at the EZLN in hopes of prompting them into engaging in armed conflict, which would thereby give the Mexican state reason to retaliate and attack Zapatista communities. However, despite the pain and rage that the Zapatistas are feeling, they continue to release statements calling for peace. And amidst the tears, sorrow, indignation, and sadness they now have due to one of their cherished teachers being slain in broad daylight, they have stated they are not seeking revenge, nor blood, nor vengeance, but rather, they seek justice. CW: What is the deal with YoSoy132? Patrick: It’s kind of a weird movement, because it started in the private universities, in a very upper class Catholic private university called Iberoamericana. It’s probably one of the more progressive private universities, because it has a quite independent and active faculty trade union. It arose in response to Enrique Peña Nieto who is the PRI candidate for president. The PRI (Partido Revolucionario Institucional) was in power continuously from 1929 to 2000, one of the world’s longest running dictatorships, guilty of incredible abuses of human rights. The most infamous one was the massacre of Tlatelolco on October 2nd, 1968, just before the Olympics, when the Mexican army and paramilitaries killed around 500 people in a square near the center of Mexico City. It’s never been properly investigated. The ex-Mexican president, Luis Echevarria who was the minister of Internal Affairs when that happened, was briefly arrested and charged with genocide in 2006, but was almost immediately released. In spite of all their crimes, they’re on the point of being re-elected after just 12 years out of power. It’s like fascism coming back. The problem is that the party that’s been in power, the PAN (Partido Acción Nacional), has been as bad if not worse than the PRI. So, it’s just gone from the frying pan to the fire and back to the frying pan again. 60,000 have died in these last 6 years of President Calderon from the ‘war against drugs,’ which in reality has been a war against the whole population, at the same time a new form of governance and a new theatre in the “global war against terrorism”. It’s been government through military dictatorship that we’ve had in Mexico since 2006, and the electoral fraud in 2006, too, that started it. Of course there’s a real danger of another electoral fraud. Until May 11th it seemed like Enrique Peña Nieto was going to win the elections easily. There had already been one or two setbacks for him. First, at the Guadalajara International Book Fair in December last year, he was asked what were the three most important books in his life, and he couldn’t name one. He is just such a complete airhead, an ignoramus. This is the guy who’s going to be the next president of Mexico!